Most importantly, it gives sound quality. Secondly, it comes at a pocket-friendly price. It is a little portable guitar amplifier. Lastly, it‘s volume is moderate. It lacks a speaker output. The speakers are not very powerful. Generally, Yamaha THR10 Amp is worth having and keeping. 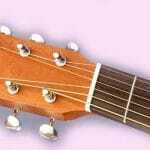 It has bridged a market gap by meeting the practicing and recording needs of beginners. Whether you are looking for a home studio guitar or an amp to use for live performances Yamaha THR10 Amp is a perfect option. Yamaha THR10 Amp combines numerous technologies to bring out the best of your guitar music. It is designed to fit perfectly in all music genres. The music it gives is cool and non-shattering to the ear. You can play music with your instrument anywhere and anytime without disturbing people around you. For improved sounds and greater portability, THR 10 gives this and beyond. Yamaha THR10 Amp was released to the market in 2011. 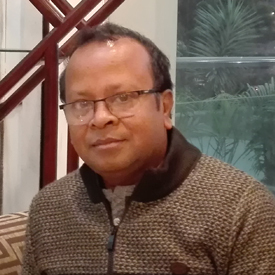 Since then, it has taken up an important role in redefining home practice amplifier. 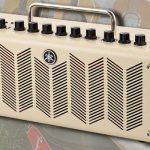 Indeed, the small and stylish guitar amplifier has set the bar high with its excellent features. It possesses a compact size, unique design and simple and pleasant colors. It is a guitar amplifier you can use when playing your favorite music at home. Home recording has also been made much easier with the tube guitar amplifier. It is a modeling solid state amplifier. Ultimately, the amplifier has taken care of practice needs of beginners. Considering its small size, it can fit even in a small room. The Yamaha THR10 Amp plays cool sounds and tones at soothing bedroom volumes. Therefore, you no longer have to worry about an exaggerated volume that may cause disturbances to your neighbors. Hence, it is a perfect guitar amp for your home studio. 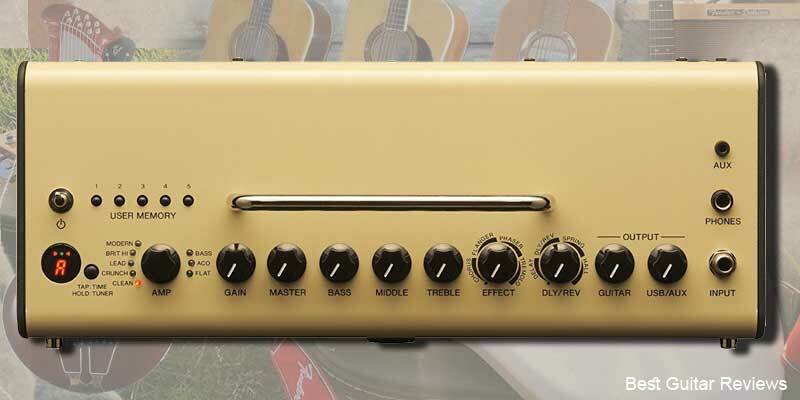 It is worth noting that the guitar amplifier has 5 amp models. In addition, you can carry when traveling as well thanks to its portable size. 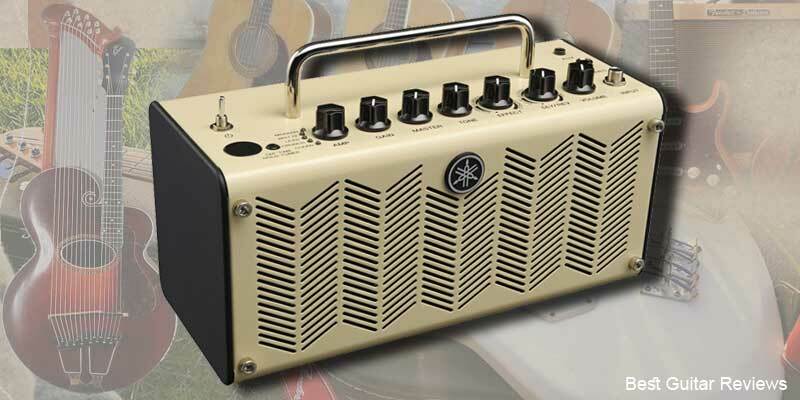 The mini guitar amp packs tons of great sounds and effects. For bass, clean crunch, modern and Brit hi, the amp has something for everyone. It is important to note that it gives a good range of sound effects. The sound effects include spring reverb, tremolo, hall reverb, flanger, chorus, and phaser. You can also get additional effects with the THR editor. The THR editor offers noise gate and compressor effects. 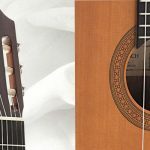 This guitar amplifier gives the quality of sound you will find in large and more advanced tube guitar amplifiers but at more ear-friendly volume. Yamaha THR10 Amp is small in size and light in weight. It is a compact size with a weight of 2.8 Kilograms and dimensions 360mm x 183.50mm x 140mm. THR 10 comes with a metallic handle. Therefore, you can comfortably carry the amplifier around. The little amplifier can operate on batteries. It requires a set of 8 AA batteries. Alternatively, it can be connected to Alternating current power source. Also, it comes with an array of controls including; USB and Auxiliary Output, Amp, Effect, Gain, Master, Treble, Bass, Middle and DIY/Rev. 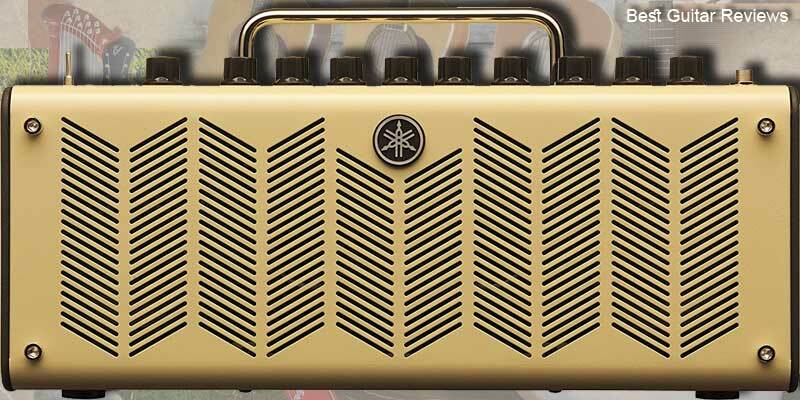 The tube guitar amplifier utilizes VCM technology to deliver unparalleled sound quality and effects. Also, the guitar amp gives excellent stereo sounds, thanks to the amp’s AV division. In addition, it incorporates the recent Extended Stereo tech to offer greater audio image. First, connectivity to other devices and instruments is possible thanks to USB, Bluetooth, and inputs on the amp. It is important to note that Yamaha THR 10 Amp can stream audio via blue tooth connection. Secondly, the amp comes with multiple inputs situated at the back of the amp. These include a USB jack, headphones input as well as input for auxiliary devices. The great tunes can be replayed on a computer or smartphone by connecting them directly using a USB cable. Alternatively, you can create a connection via the AUX jack on the amplifier. Yamaha THR 10 Amp incorporates specially designed speakers for enhanced tones and great sounds. The amp features two 8cm speakers. These give a moderate sound which is neither too low nor too high. Virtual Tube Illumination technology gives a beautiful orange glow on the speaker grille (metallic). Additionally, the guitar amplifier comes with an in-built chromatic tuner. The tuner enables easy and more accurate tuning. Also, you can utilize the tap tempo feature to set and adjust delay time for the amp. Another feature users can take advantage of is the THR editor. Yamaha has availed it at the company’s website and all you need to do is download one. The software gives you an opportunity to edit your amp sound and effects using your computer. Again, the THR editor offers in-depth control functions including a noise gate and a compressor. 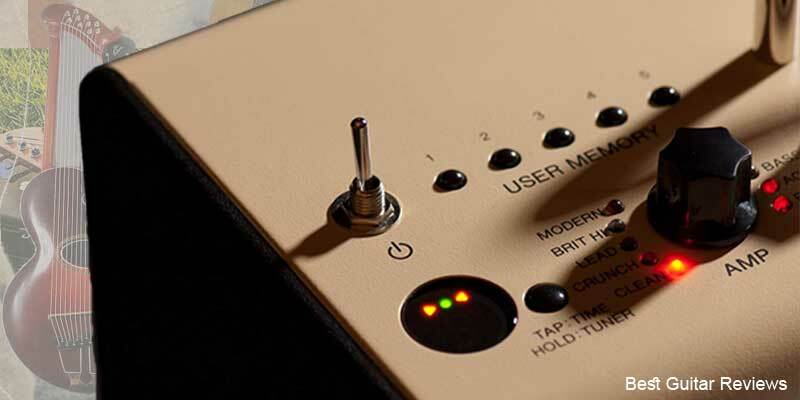 The memory function enables users to store their favorite tunes. In addition, users can save five different amp settings as well as switch settings. The Yamaha THR10 Amp would be a wrong choice for large stage performances due to its moderate sound volumes. However, it serves as an excellent amp for a home studio. With the amp, you can play and record great sounds and tones all from the comfort of your home. With time, you get addicted to your pretty little amp and you will want to play it over and over again. When traveling, you can carry it with you as it is small and highly portable. If you want to learn about more amps’ models, click Here. Generally, Yamaha THR10 Amp is a great performer. It packs tons of great sounds and features that every beginner should check out for. Again, its price is quite affordable. As a matter of fact, it is not easy to find a guitar amp with this kind of features at such a pocket-friendly price. Yamaha THR10 Amp has come to meet all needs of beginners and help them smoothly rise up the ladder with this amazing instrument. Moreover, the guitar amplifier will save you a lot of space with its’ small size. Again, it offers great music. To sum up, Get yourself a THR10 tube guitar amplifier today, and find your perfect companion.